For over 100 years, Ray N. Welter Heating Company has provided HVAC repair and replacement services throughout the Minneapolis metro area. 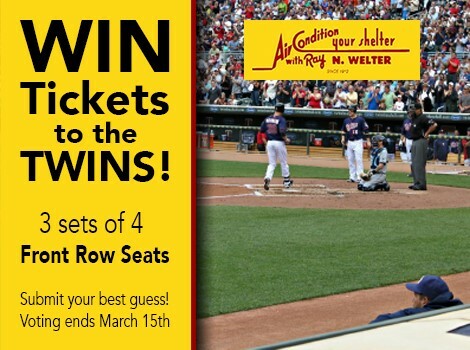 With the goal of increasing brand awareness and engaging with their audience, Welter Heating partnered with TopRank Marketing to create a socially-driven baseball ticket giveaway campaign. The results? A huge spike in traffic, social engagement and some happy baseball fans.